Gamification in education has received a lot of press recently and there are fair number of proponents and opponents. However, gamification is nothing new. It’s been used in education for years. 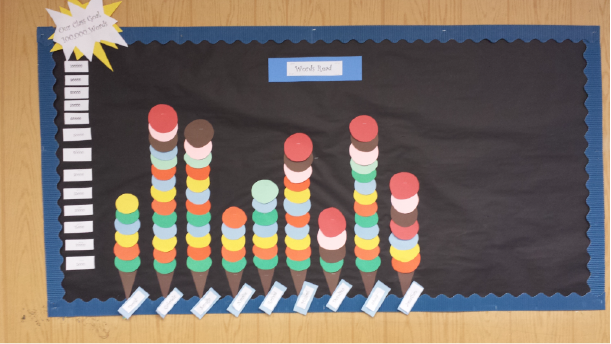 From progress bars in the school cafeteria that track the money raised for a field trip to reward stickers for reading achievement, teachers and students are familiar with this concept. Further, many corporations such as Target, Nike, Four Square, Loreal, to name a few, are beginning to realize the benefits of gamification. First and foremost, gamification means different things to different people. One the one side of the spectrum some believe, (usually individuals who have limited experience with games) that gamification is about using video games to teach concepts. On the other, and perhaps more practical side, gamification has separate components and each is used to engage and teach students. At its heart, gamification uses a series of tools to engage and motivate users. According to the MIT Education Arcade, people spend 3 billion hours globally playing video and computer games during a typical week. Over time gamification advocates have attempted to figure out why games are so powerfully addictive. What features persuade users to spend 3 billion hours in a week? What are the motivational factors behind games like Flappy Bird, Candy Crush, Titan Fall, or Call of Duty? How can we take some of the components of successful video, computer, and casual games and apply them to learning? What researchers have found is that many of the more successful games use challenges, badges, leaderboards, points, progress bars, social collaboration, and rewards. And key to gamification is a process called the Dopamine Release Loop, an engagement loop where a user is presented with a challenge, they achieve it, and a reward is given. During the reward phase, dopamine, a chemical in the brain responsible for making people feel good, is released and the user’s desire to “play” is reinforced. Ideally, a well-designed system adequately moderates the flow of challenges and rewards and most importantly, keeps the user engaged. • Engagement – User engagement is the single most important benefit when it comes to gamification. Users are more likely to use a system when it has gamification features. • Motivation – The more positive experiences (dopamine release loop) a user has with a system, the more likely that user will be motivated to use that system and associate it with positive feelings. • Loyalty – Users are more likely to remain loyal to a system when gamification is used. The benefits of gamification are significant and have many applications. Educators and educational content developers must find ways to bring gamification concepts into instructional materials (educational mobile apps, web sites, paper-based products etc.). Today’s students most likely have had a daily experiences with a game via a mobile phone or video game console and wouldn’t see anything wrong with including gamification techniques in classroom materials. It is quite common place to experience a challenge, a reward, points, or social collaboration, etc. So it’s not far-fetched that these concepts (gamification) should be infused into educational instruction so as to increase student engagement.